Is HR Ready to Apply Artificial Intelligence in Recruiting? When “There’s no universally accepted definition of AI,” according to Ben Eubanks, principal analyst at Lighthouse Research and Advisory, you know there must exist some misperceptions and lack of understanding around artificial intelligence in recruiting. Being in the talent acquisition space myself, I made it my mission to uncover unbiased, credible resources to gain a better grasp around how HR is thinking about AI today, how it’s already in use, and and how we can help our clients - not to mention ourselves - prepare for it and apply it successfully. Is artificial intelligence being used in recruiting today? What are recruiters seeing as the benefits of artificial intelligence? I think we all agree that time to hire will be improved -- according to a LinkedIn study, 67 percent of recruiters said AI has already saved them time. Where we haven’t seen favorable results is around how the candidate experience is affected, and whether the quality of hires and (new hire) retention rates will improve as well. This begs the question, how much will we allow AI to dictate hiring decisions that include job-fit? How can we ensure that we include our ‘gut-feelings’ in our AI-aided hiring decisions, or is there a future in which we create the perfect algorithms? 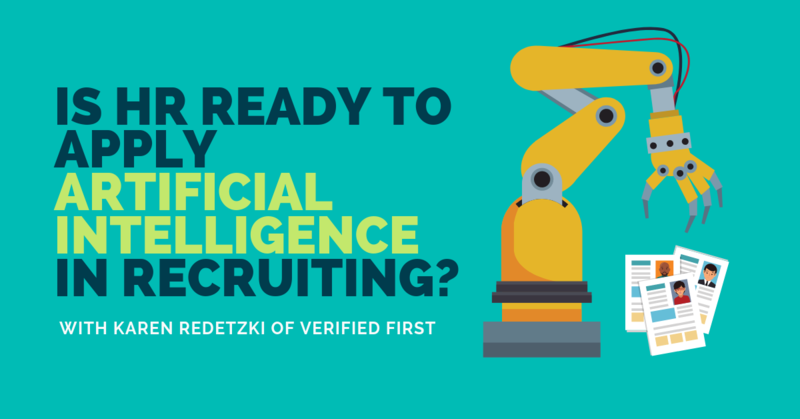 Before you apply AI in your hiring decisions... what should recruiters do first? 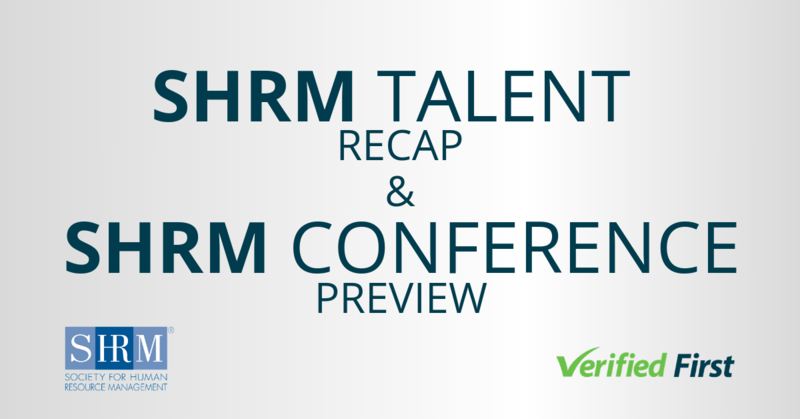 Andrew R. McIlvaine, senior editor for talent acquisition at Human Resource Executive, recapped the Recruiting Trends and Talent Tech conference AI panel in his article "Do Humans Really Have a Bias Against Algorithms?" The panel consisted of industry analysts Ben Eubanks, principal analyst at Lighthouse Research and Advisory, Madeline Laurano of Aptitude Research Partners; Erin Spencer, senior researcher at Bersin-Deloitte; and Kyle Lagunas, research manager at IDC—moderated by cornference chair Elaine Orler. Andrew noted that the panel discussed how, when leveraging AI to make hiring decisions, we must first understand where the recommendation came from—meaning, what algorithm using what data? The panel referenced a great example of this when Amazon made headlines with its testing of an AI recruitment system, because it couldn’t stop the tool from discriminating against women, and suggested that all of us conduct the due diligence to learn from their case study. What should recruiters using AI be aware of? At a Recruiting Trends & Talent Tech interview, John Sumser said “If you force your [hiring] process to only consider the [candidate’s] qualifications, you won’t find your Albert Einstein… If you leave serendipity out of the process, that’s a probability the largest risk in this area [AI].” In other words, we still cannot rely on just the data when making hiring decisions, even if the “I” in “AI” means intelligence. This reminds me of all the questions I’ve asked either Siri, Alexa, and Cortana, many of which still remain unanswered. 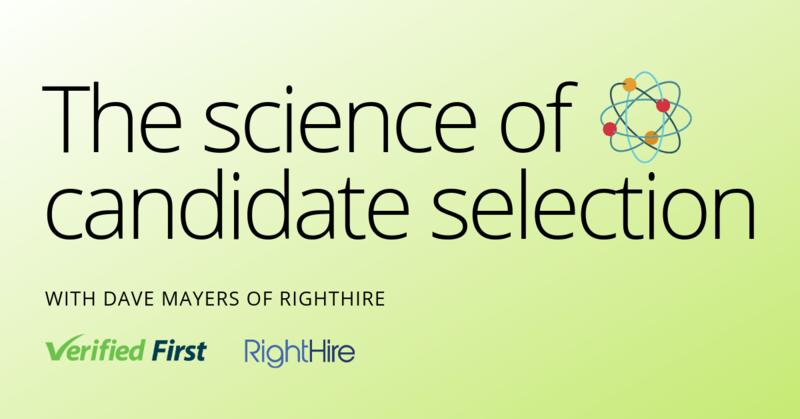 According to Ideal, 52 percent of recruiters say the hardest part of the hiring process is sorting through large applicant pools. In the new book, Artificial Intelligence for HR: Use AI to Support and Develop a Successful Workforce, author Ben Eubanks talks about the SourceCon Grandmaster Challenge, in which the contest sought out to address this very challenge. In this contest, expert sourcers competed against an AI-based tool, to see whether humans or a machine would select the better candidates. The result? The expert sourcer found better people for the fictional roles in this contest over a third place AI-driven tool, yet time was on AI’s side, as the algorithm produced by Brilent took about 3 seconds, while the human contestants took 2 to 25 hours to research the candidate submissions. Ben commented on how the best solution lies somewhere between purely human to purely algorithmic. So there you have it, my preliminary research shows that human decisions around hiring people are winning out over machines running solo, although not surprisingly, machines make decisions much faster. With time to hire as a critical need for all of us in the talent acquisition space - from recruiters and HR, to job candidates and technology providers - we won’t see the effort to deploy unbiased, artificial intelligence-based hiring systems slow down. If you’re the one in three recruiters looking for a background screening company (per Aptitude Research), we’d love to help you automate your background screening process using accurate candidate data, and in the most human of ways.